As we get into the cooler months, it's important to keep the skin hydrated. It can definitely be tough in the dry desert here in Arizona. In addition, when it's dry and cold, it is honestly the worst combination for my skin because I end up itchy and super dry. 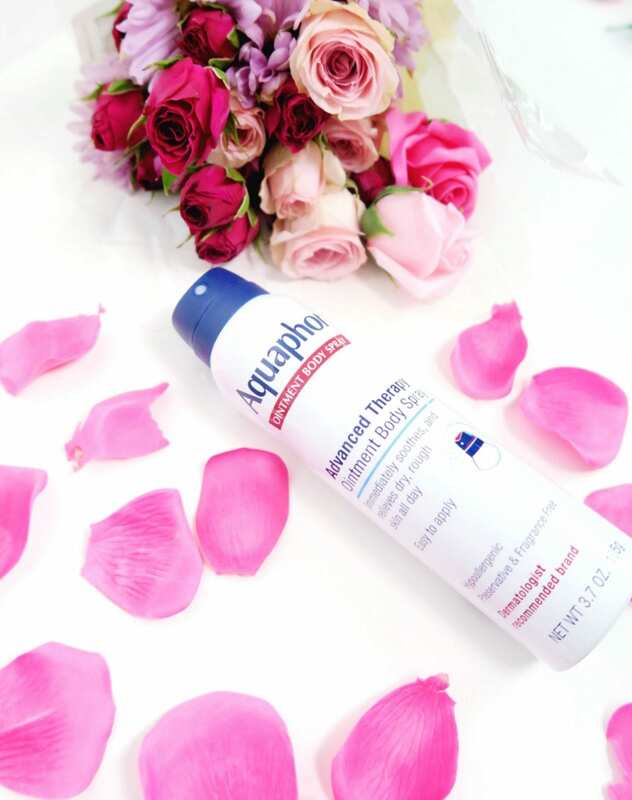 As someone who has used AquaphorⓇ for years, I genuinely trust the brand when it comes to moisture. They have 90+ years of skin healing expertise, and they're the#1 dermatologist recommended brand. They typically gentle products, clinically proven, hypoallergenic, paraben free and fragrance free. What more can we ask for!? 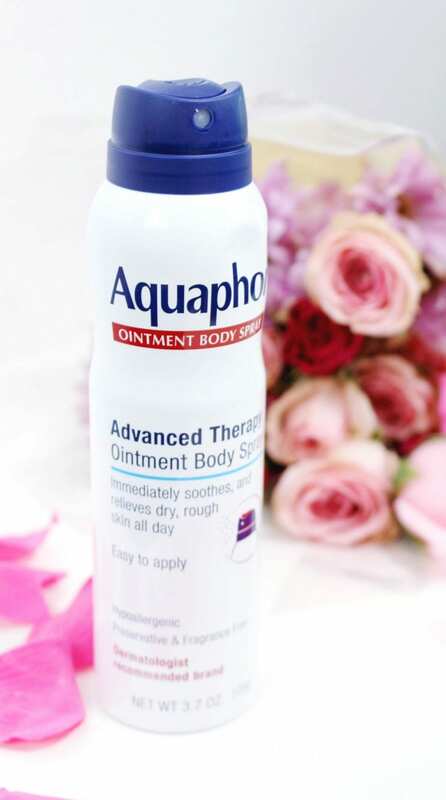 Their latest endeavor is this new AquaphorⓇ Ointment Body Spray which has an immediate soothing effect helping to relieve dry, rough skin. Now this is something you absolutely need this season. Since most of us aren't extremely flexible, it's super easy to apply, even on those hard to reach places. I'm looking at you upper back! I always have to do some odd stretches and try to get every corner but it seems near impossible without help. Now we can easily just spray this. 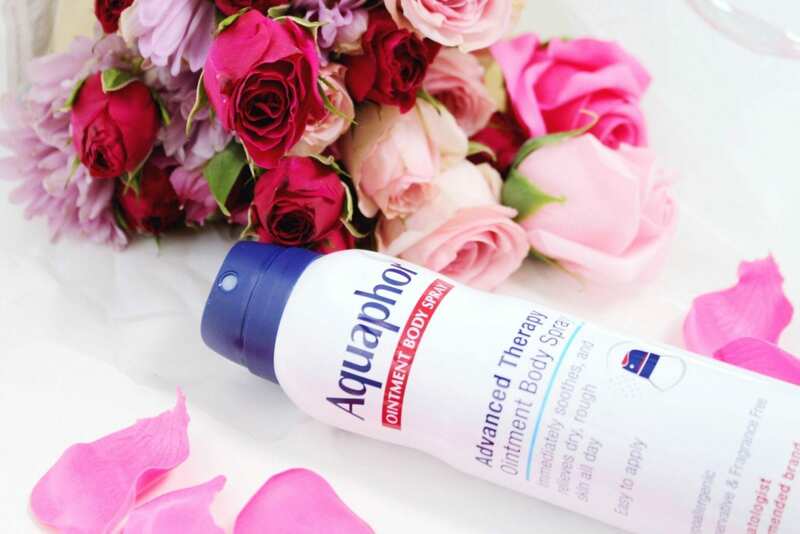 It's ideal for the arms and legs which seem to always be drier than the rest of my body. The biggest benefit is that this is clinically proven to relieve very dry skin, and it helps keep the dryness away all day. Alongside that huge benefit, it helps to give the skin a radiant and healthy looking glow. I love spraying this all over my body!